When you live in an urban area like New York City there’s no way around it: at some point, you are bound to come into contact with a pest. From mice to bed bugs, silverfish to cockroaches, knowing how to prevent, and eliminate these pests in NYC is integral to maintaining your health and wellbeing when living in New York. Silverfish don’t bite or spread disease, but they are not pests you want in your home. These pests in NYC like to eat starchy materials like glue, paper, cardboard, and dry goods. They can also make holes in your clothing and other fabrics. The easiest way to prevent an infestation is to keep your home clean, and free of excess moisture. Running a dehumidifier will help, but sometimes these pests simply cannot be prevented. The easiest way to detect a silverfish infestation is to see the pests themselves. You might also notice damaged goods. You can use poison paks or sticky traps to try to get rid of them. But often it’s just easiest and most effective to call a professional exterminator once the infestation has reached a large size. Water bugs are easily confused with other pests such as cockroaches. 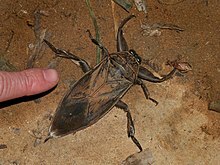 Giant water bugs spend most of their time in the water and can bite. They are large, around two inches long, and will invade your home seeking moisture. To get rid of them try running a dehumidifier. In a worse case call a licensed pest control professional right away so that you don’t risk a bite. Probably the most notorious of all pests in NYC. These pests like food, warmth, and moisture. Practicing proper sanitation is a good way to control their populations. Cockroaches leave droppings that look like black pepper and can trigger asthma and allergies. They can also spread nasty diseases, like salmonella. All cockroaches, but mainly German cockroaches, present a major health hazard. You can use store bought bait to get rid of cockroaches on your own. But it’s often advisable to contact a pest control professional to take care of the infestation for you. If you live in a crowded apartment setting, it’s important to know what attracted the roaches in the first place. These pests can spread easily between units. Furthermore, baiting cockroaches yourself can sometimes be dangerous, especially if you have small children or pets. Rodents are also one of the most common pests in NYC. Due to the proximity between living spaces, mice come inside seeking warmth in the colder months. They will stay if they find a readily available food source. To prevent a mouse infestation make sure all possible entry points into your home are sealed. Also, keep all of your food in tightly sealed containers. If you have a mouse infestation, you will likely notice their droppings. To get rid of them, you can set spring or sticky traps with a bit of bait. Most rodents will leave greasy marks on the wall. You might also notice that your food packagings are gnawed. Bed bugs are nearly impossible to prevent. They are found in millions of residences and businesses throughout the metropolitan NYC area. Bed bugs hitch a ride on unsuspecting visitors to hotels, public transportation, movie theaters, and more. 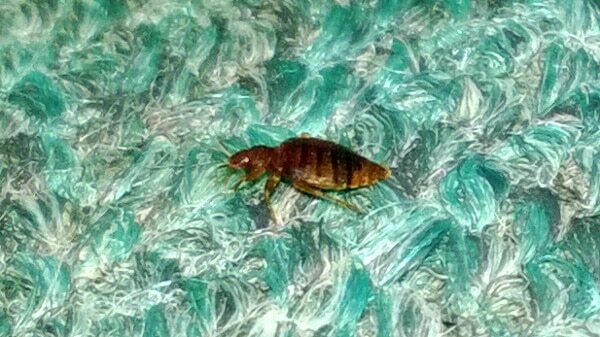 Most people carry bed bugs home without even realizing it, giving these hitchhikers a free pass to their beds. Once they’ve infested a bed or other living space, they come out at night to feed on human hosts. They leave behind small red welts all over their bodies. To get rid of bed bugs it’s often necessary to remove all infested bedding, as their eggs can survive under some of the most challenging conditions.